Few months ago, more mountains in Rizal Province had opened. One of them captured my attention and I promised to myself to climb it first before the others, that mountain is Mt. Sipit Ulang. Mt. Sipit Ulang (or Crab's Claw) is located at Brgy. Mascap, Rodriguez (formerly Montalban), Rizal. Its difficulty is rated 3/9 with an elevation of 245 MASL. 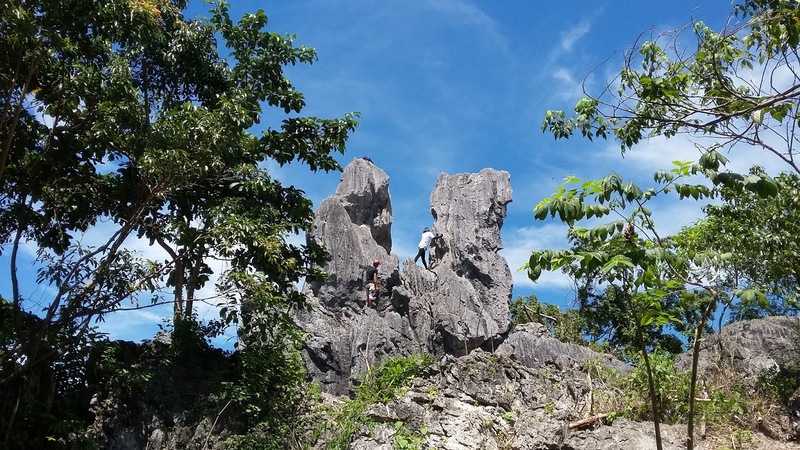 The highlights of this mountain is the rock formation atop the summit that looks like a crab's claw where you can see a 360 degree view of some Sierra Madre mountains. Aside from the summit, the trail is quite challenging. You need to pass narrow trails, small caves and boulders en route.